Remember that new sci-fi action movie starring Denzel Washington (American Gangster)? 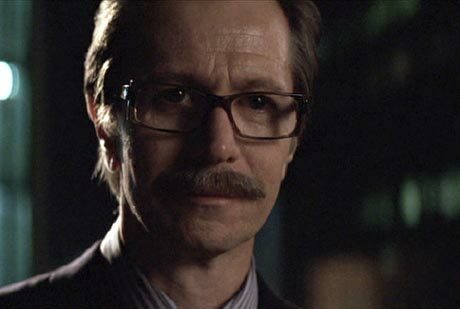 Well things are getting moving as Gary Oldman (Gordon in the new Batman films and Sirius Black in the Harry Potter franchise) has signed on as well. “Eli” revolves around a lone warrior (Washington) who must fight to bring society the knowledge that could be the key to its redemption. Oldman has been set to portray the despot of a small makeshift town who’s determined to take possession of the book Eli’s guarding. Written by newcomer Gary Whitta and Anthony Peckham (Don’t Say A Word), Book Of Eli marks the return of sibling directors Allen & Albert Hughes (From Hell), the film will start shooting in New Mexico this February for a January 2010 release. This entry was posted in American Films, Celebrities, Science Fiction Movies and tagged Albert Hughes, Allen Hughes, American Gangster, Anthony Peckham, Batman, Book Of Eli, Denzel Washington, Don’t Say A Word, From Hell, Gary Oldman, Gary Whitta, Harry Potter, New Mexico, Sirius Black by Mr Hollywood. Bookmark the permalink.